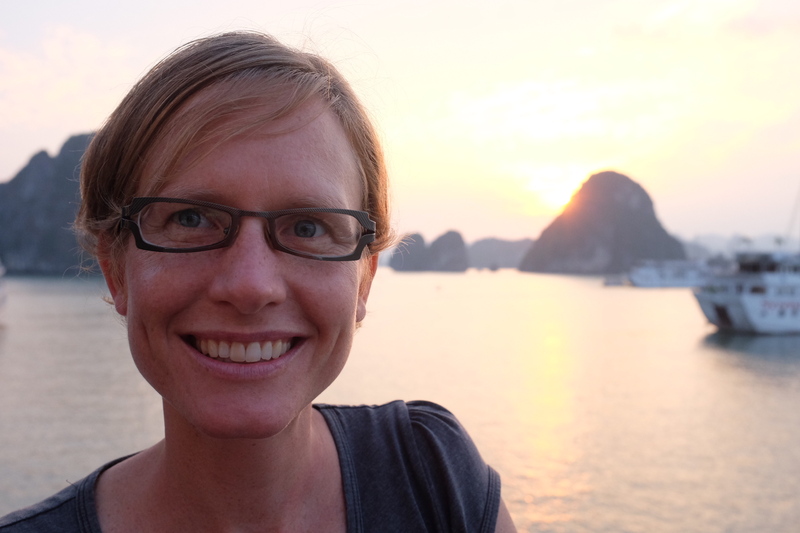 We arrived in Hanoi on Saturday night and immediately had very positive impressions of the city. Modern international airport. Wide avenues leading into the city. A general buzz all around us as people convene at all hours for coffee, conversation and company. We are staying in the old quarter for the week and enjoy walking through the streets and taking in all the sights. 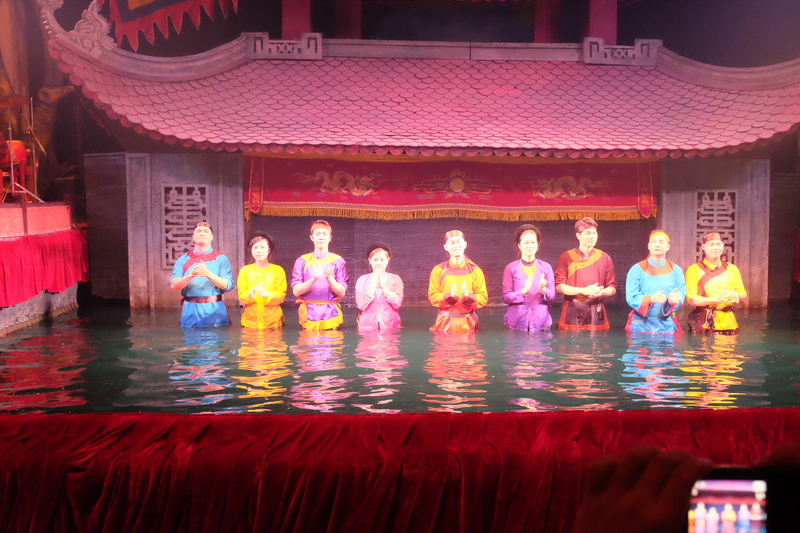 The water puppet show was a riot. 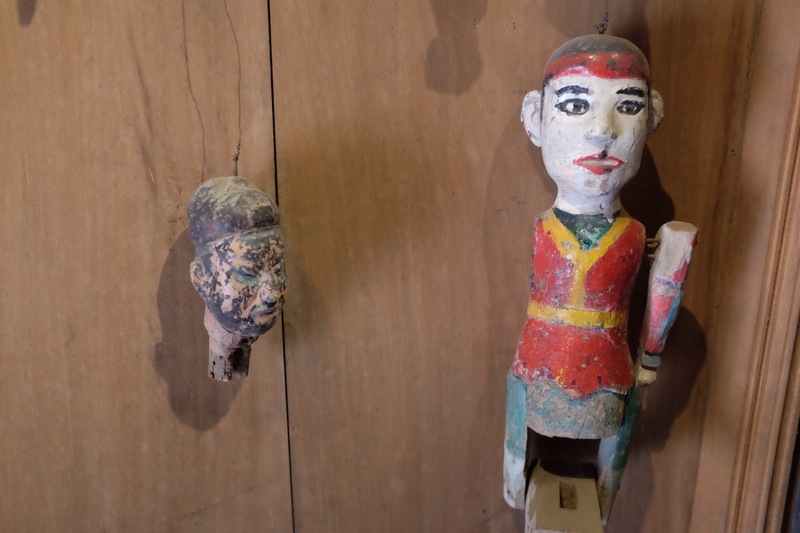 Beautiful puppets, live music and singing and racous stories. Fire breathing dragons. Tiger-chasing duck farmers. A fisherman that nets his wife. Below are some of the puppets followed by the puppeteers. 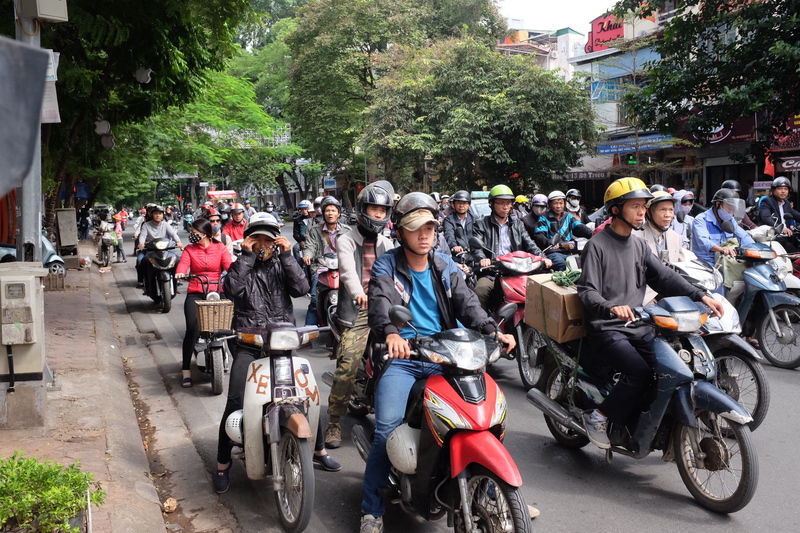 The streets are filled with motorbikes. They travel like schools of fish. Surprisingly good at avoiding pedestrians. One of the legacies of French rule is that Vietnamese drink +a lot+ of coffee. Cafés abound and are always full. Another manifestation of the French influence is the architecture: narrow, tall buildings with balconies overlooking the streets. The Vietnamese have invented egg coffee (google “egg coffee Vietnam” for details). Here, we combine the cafe culture with the architecture. 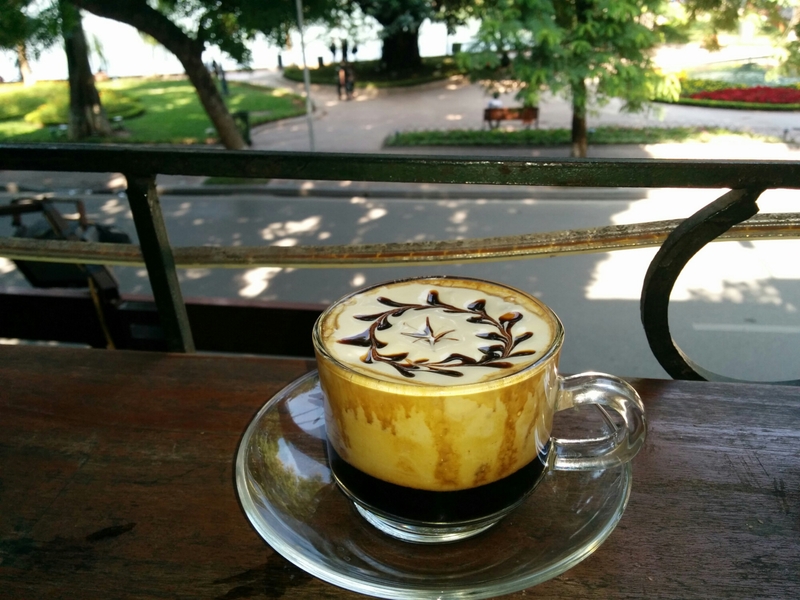 An egg coffee, served on the balcony of L’Etage, with a gorgeous view of Hanoi’s central lake. 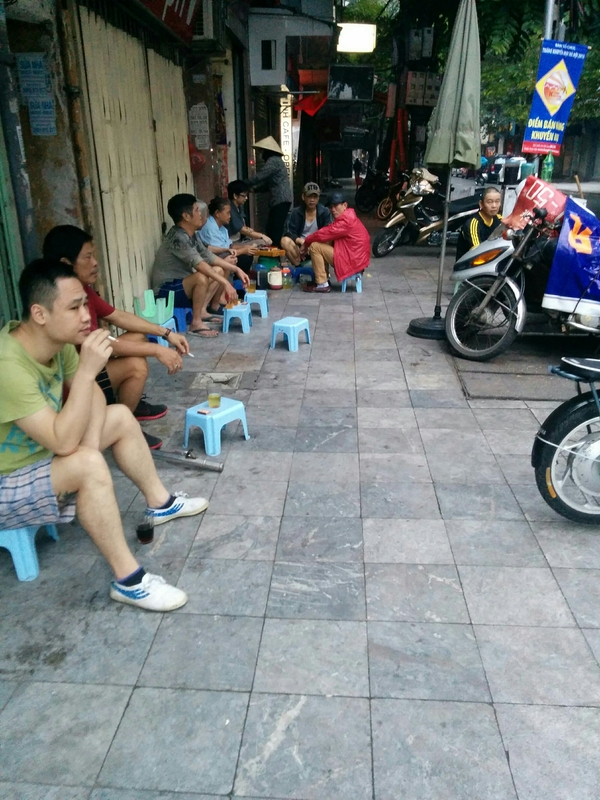 On the coffee theme, most streets are lined with small chairs and tables outside cafés. We really like this. Taking the recommendation of another traveler to heart we spent the morning at the museum. 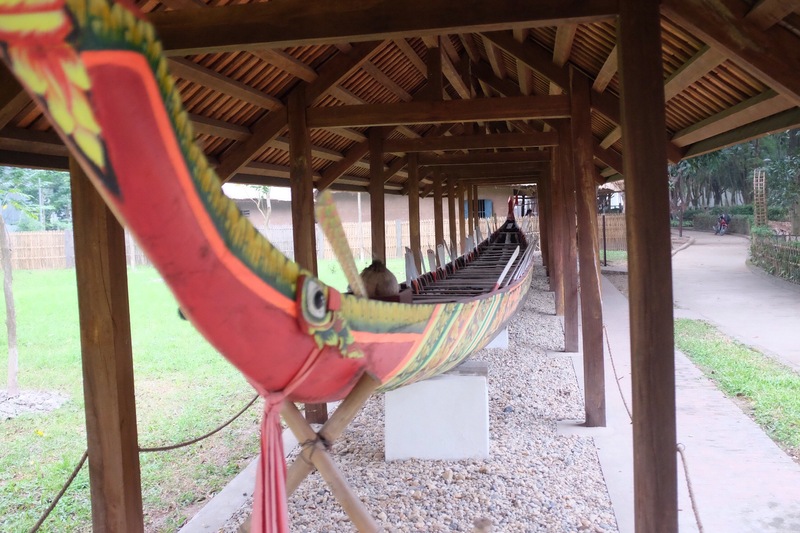 We vistied the longhouses and other types of housing used by different Vietnamese ethnic groups. The tactile experience was particularly good for visiting with kids; the girls could walk through the houses, climb stairs, look into rooms, teeter on bamboo balance beams. 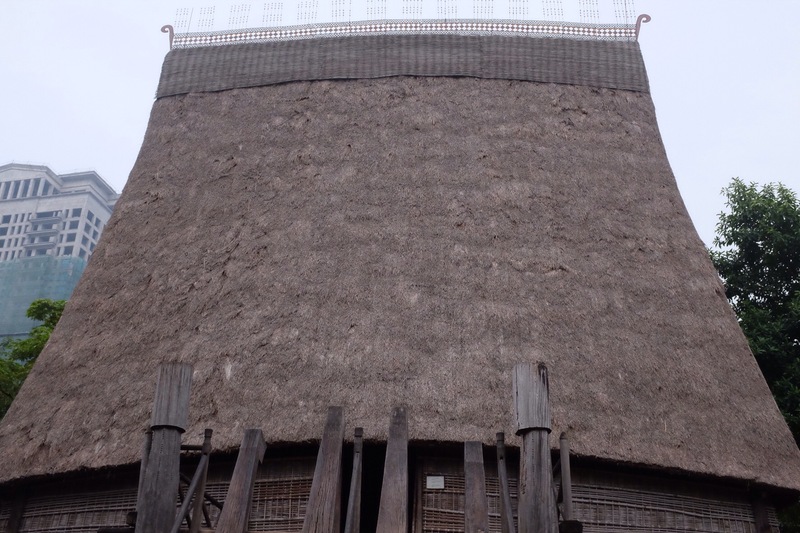 This traditional community house has an elegant and ridiculously high thatched roof (19m!). 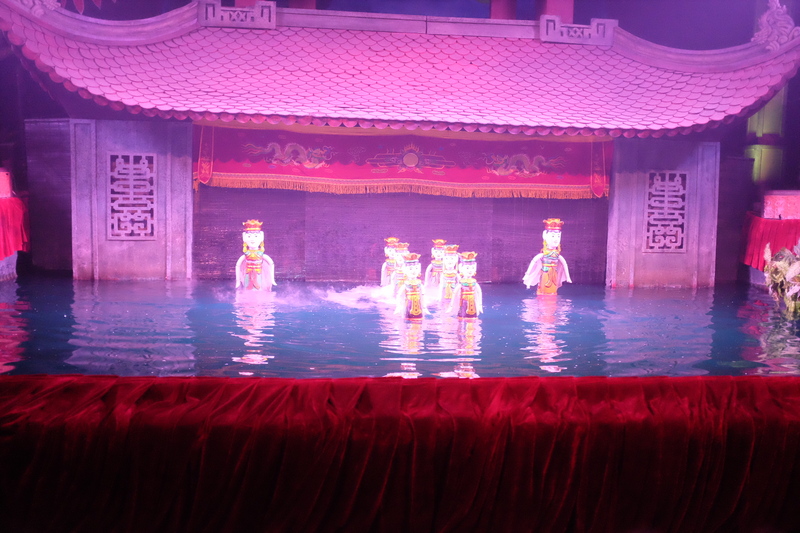 And here are some ancient water puppets, not unlike what we saw at the theatre. Our hotel is next to St Joseph’s Cathedral. In the mornings we hear singing at 5h30 that presumably emanates from there. It’s beautiful. 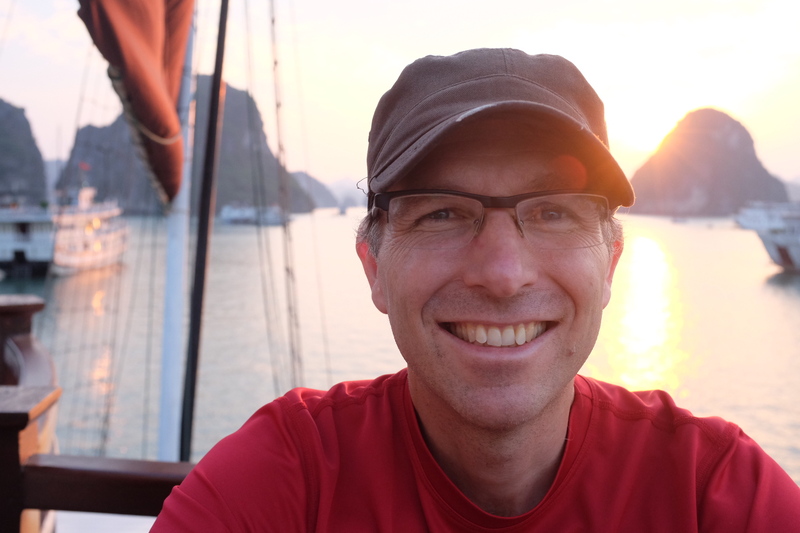 We spent a night on a boat in Halong Bay, a collection of thousands of limestone islands that juts out of the sea. 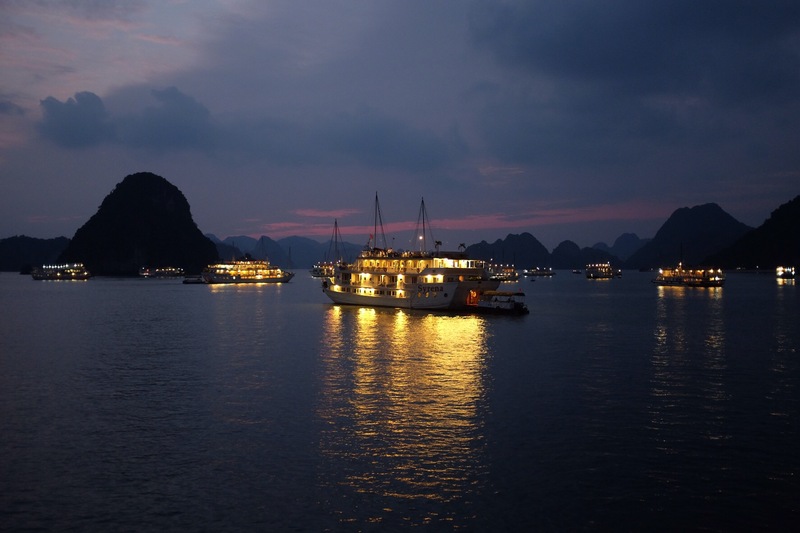 Halong Bay is listed as a UNESCO World Heritage Site in recognition of its outstanding aesthetic value. Here’s a shot of some of the islands from our boat. The scenery is absolutely stunning. We took kayaks through the caves near one of the islands and saw monkeys. We had an evening cooking class on board the ship and learned to make spring rolls. This a night shot from the boat. The bay filled up with boats, similar to the one we were on. Here are the girls at sunset. 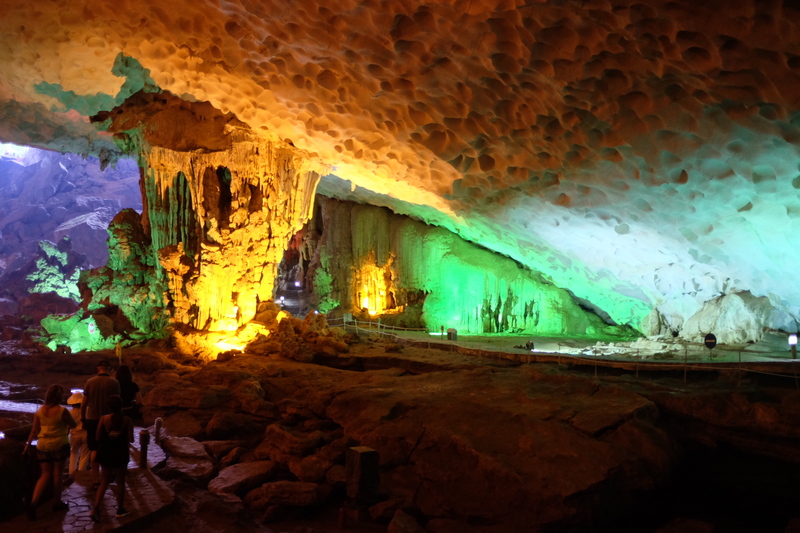 We explored a massive above-ground cave. 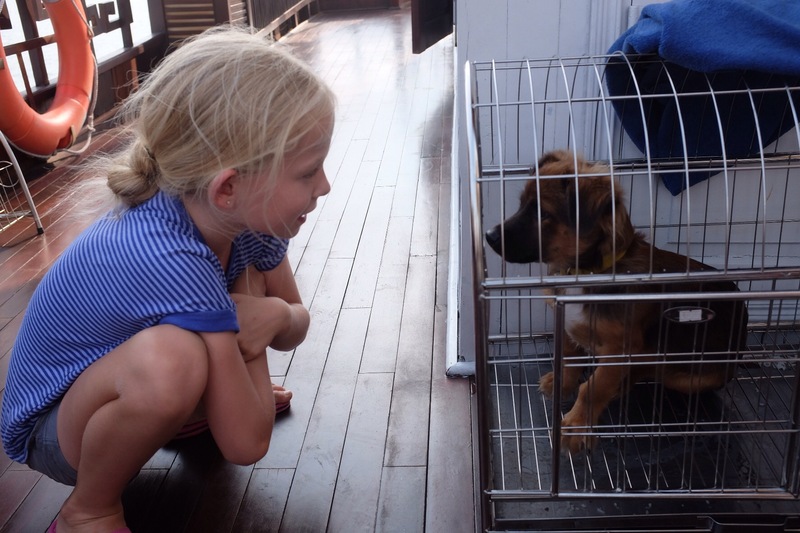 And the ship’s captain brought along his puppy. The girls have started the Harry Potter series. We can understand why the books are so popular! 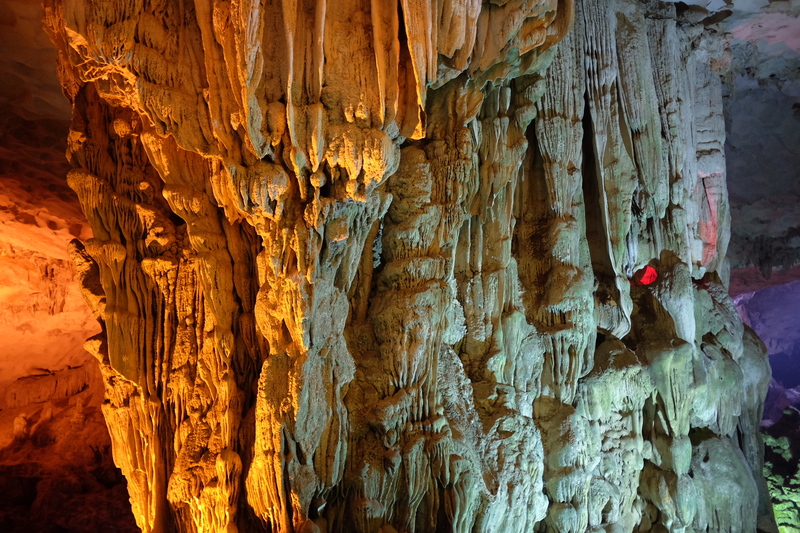 And tomorrow we’re off to Luang Prabang. The internet connection – and the pace of life – is supposed to be significantly slower there. 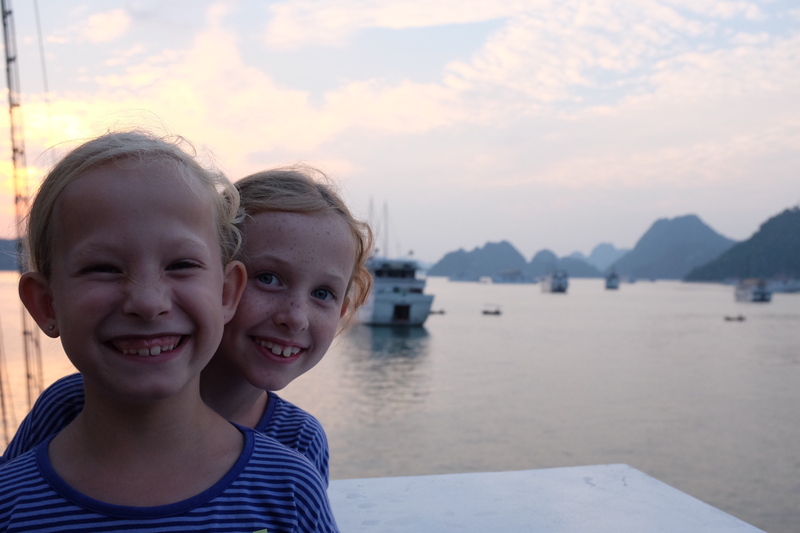 In preparation for our two weeks in LP, the girls have already downloaded the next several books in the series.